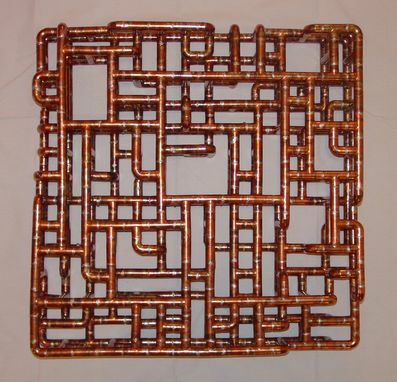 This piece is a wall-mounted sculpture made of 3 layers of interconnected 1/2" copper tubing. 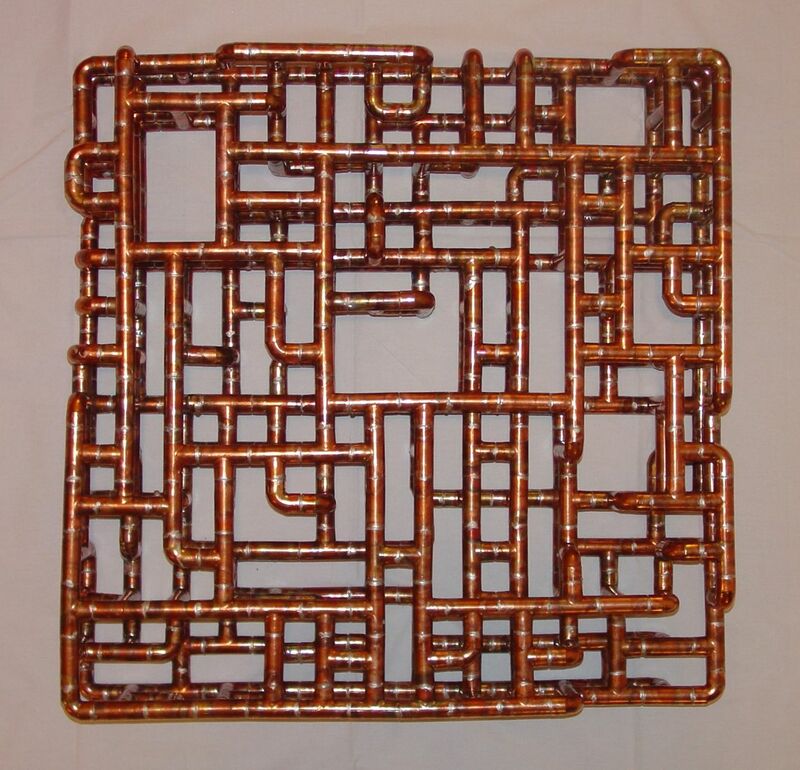 This particular piece was not sealed after completion so it will air-oxidize and mellow, turning a deep honey-brown color over time. If it is exposed to water it will verdigris.